VATICAN CITY (CNS) — In its ministry to young people, and especially in vocations promotion work, church workers must step out of the sacristy and take seriously the questions and concerns of the young, Pope Francis said. Young people are searching for meaning, and the best response is to go out to where they are, stop and listen to them and then call them to follow Jesus, the pope said Oct. 21. “Jesus’ desire is to set people out on a journey, moving them from a lethal sedentary lifestyle and breaking through the illusion that they can live happily while remaining comfortably seated amid their certainties,” Pope Francis said. 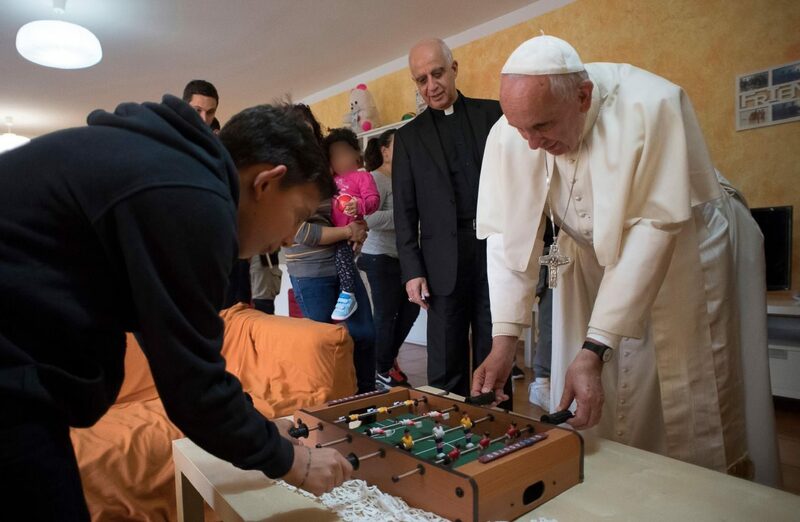 The seeking and desire to explore that comes naturally to most young people “is the treasure that the Lord puts in our hands and that we must care for, cultivate and make blossom,” the pope said. Vocations promotion, which is the responsibility of every Catholic, the pope said, must follow the same steps Jesus used when interacting with people. “In the same way, instead of reducing faith to a book of recipes or a collection of norms to observe, we can help young people ask the right questions, set out on their journey and discover the joy of the Gospel,” he said. Pope Francis told conference participants that he has never liked speaking about vocations ministry as an office in the diocesan chancery or headquarters of a religious order. It’s not an office or a project because it is all about helping someone meet the Lord and answer the Lord’s call. “Learn from the style of Jesus, who went to the places of daily life, stopped without rushing and, looking upon his brothers and sisters with mercy, led them to an encounter with God the father,” the pope said.